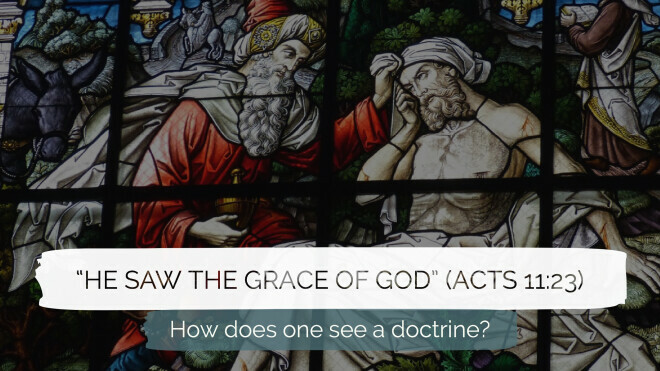 How does one see a doctrine? In Acts 11:19-26, Barnabas was sent by the church of Jerusalem to the multi-cultural, affluent, and burgeoning city of Antioch in Syria. The Jerusalem church had recently heard that the gospel of Jesus had penetrated this influential city “and a great number of people believed and turned to the Lord” (11:21). When Barnabas arrived from Jerusalem, the text gives an unusual account of what he discovered; it says, “he saw the grace of God and was glad” (11:23). What did Luke mean by this comment? And how is it possible to see grace in the lives of believers?